Cincinnati has gone by many names. The City of Seven Hills. The Queen City. The ‘Nati. But what specifically comes to mind when thinking of the “queen of the west, on the banks of the beautiful river,” as Henry Wadsworth Longfellow once called it? For some, it may be major historic landmarks like Fountain Square, Union Terminal, Findlay Market and Music Hall. For others, it might be the Cincinnati Zoo and Botanical Gardens, the second oldest in the country. Or maybe it's Great American Ballpark and Paul Brown Stadium, where Cincinnati’s favorite teams play. It would be impossible to narrow it down to just one thing. It was hard enough to whittle our list down to these five signature spots and off-beat adventures — each of which makes Cincinnati the place we love to call home. Let the debate begin! Cincinnati loves its beer. 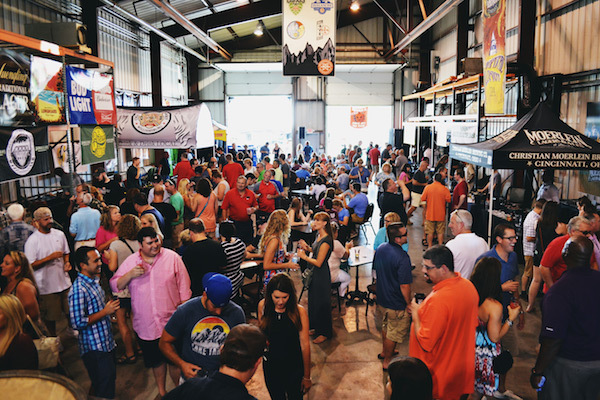 Upward of 15 craft breweries are currently making their mark on the Queen City, but according to Rhinegeist tour manager Chris Marshall, this is really nothing new. The historical influence of the earliest Cincinnati brewers is very much alive and kicking. Cincinnati’s annual Oktoberfest Zinzinnati celebration, which takes place downtown each September, is the largest in the country. In a similar testament to Cincy's beer-loving heritage, thousands of brave beer drinkers face frigid March winds to watch the Bockfest parade and enjoy early spring varietals of maibock, doppelbock and eisbock. The rest of the year, beer lovers can drink in Cincinnati’s history by walking the Brewing Heritage Trail, taking an underground tour of the old lagering cellars beneath the streets and buildings of OTR or visiting traditional breweries still in operation today such as Christian Moerlein Brewing Co. While it might seem morbid at first, taking a stroll in Cincinnati’s beautiful Spring Grove Cemetery is the perfect way for the living to unwind and get some fresh air without having to leave city limits. 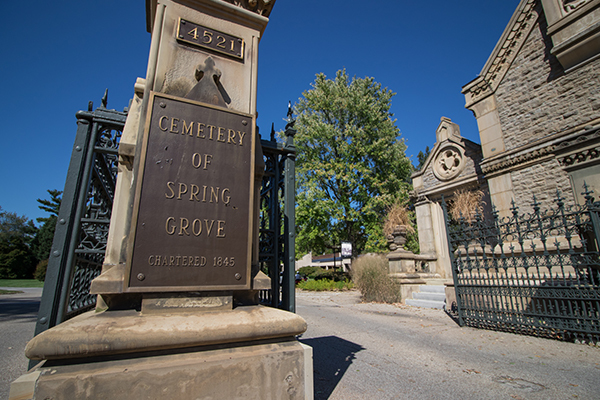 Dating back to 1845, Spring Grove is the fourth-largest cemetery in the country, spanning 733 acres. The cemetery is recognized as a U.S. Historic Landmark and features 12 ponds, landscaped lawns and gardens, National Champion trees and the graves of famous sports figures, generals, abolitionists, congressmen and Supreme Court justices. The grounds are open to the public, and organizers offer guided walking tours several times a month, as well as yoga and photography classes, 5K races, weddings and other alternative programming. Where can one go to stock up on alligator jerky and obscure snack foods from Malaysia? For Cincinnatians, there's only one place: Jungle Jim’s International Market. This massive 300,000-square-foot grocery store features fresh and packaged foods from all over the world, but what sets the store apart is a totally unique, and often bizarre, shopping experience. Started as a roadside produce stand in the early 1970s, the company’s founder “Jungle” Jim Bonaminio achieved quick growth by always finding new ways to amuse patrons. According to Bowers, Bonaminio is quite a character, and all the store's quirky touches come straight from the owner's imagination. Walking up to the store, patrons are greeted by a monorail system (purchased from King’s Island), as well as statues of giraffes, elephants and other wildlife. Inside, the store is full of surprises like animatronic animals, silly signage and restrooms disguised as port-o-lets — winner of the "Cintas Best Restroom in America" contest. The seafood department's management office is housed within a boat that Jungle Jim brought back from a trip to Florida. “The boat didn’t fit in store so we had it built around it,” explains Bowers. 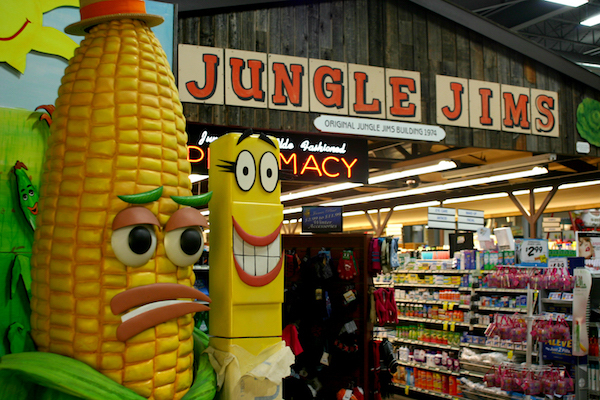 Jungle Jim's has undergone multiple expansions over the years and added a second Eastgate location. The store now offers a variety of cooking classes, tours, happy hours, tastings and festivals — including the upcoming International Wine Festival, Barrel Aged Beer Fest and Big Cheese Fest. More details can be found on its website. Whether you seek a pilgrimage for the faithful or just a bit of exercise with a great view at the end, walking the steps of Holy Cross Immaculata Church in Mt. Adams is a totally unique Cincinnati experience enjoyed by hundreds of locals and visitors annually. Beginning downtown on Riverside Drive, walkers ascend more than 100 steps, crossing Columbia Parkway and arriving on Hill Street in Mt. Adams. Walking up a block to the church, the final steep leg brings walkers to a pedestrian overlook that offers one of the most sweeping vistas found anywhere in the city. For the past 157 years, devout Catholics have completed this walk in silent prayer as a Good Friday tradition. This interlocking patchwork of distinct neighborhoods and the east-west I-75 divide inspired one Cincinnatian to dig deeper. In 2017, local writer and teacher Annette Januzzi Wick undertook a yearlong, 52 neighborhood walking tour to explore the city's many nooks and crannies. Her resulting Gettin’ My City On blog project took her to every major and not-so-major community. Some neighborhoods were so small that she had never heard of them before. 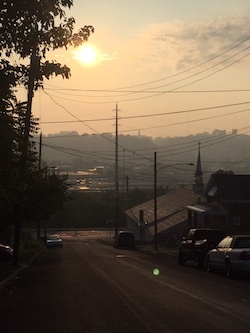 Other favorites include College Hill, home to Ohio Female College in the mid-1800s; California, nestled in the bend of the Ohio River; and the historic mansions in North Avondale and College Hill. Januzzi Wick also enjoyed exploring her Italian heritage in the neighborhoods of North and South Fairmount and Walnut Hills. She saw signs of resurgence in neighborhoods like East Price Hill, South Cumminsville, Kennedy Heights and Walnut Hills — where the Walnut Hills Redevelopment Foundation and other community partners have worked to attract new shops and restaurants like Gomez Salsa. Despite the separation between neighborhoods, Januzzi Wick saw more uniting of the city than dividing it. No discussion of Cincinnati's distinct culture would be complete without at least one chili mention. For those unfamiliar and uninformed out-of-towners, Cincinnati-style chili might seem like a confused attempt at Southwestern chili con carne, due to its absence of beans and strange spice profile that includes cinnamon, allspice and clove. But in fact, Cincinnati chili is a creation all its own, developed in the 1920s by Macedonian brothers Tom and John Kiradjieff of the Empress line of restaurants. The dish is typically served on spaghetti or coneys (aka hotdogs), topped with a hefty sprinkle of cheddar and finely minced onion. One's chili of choice is a source of fierce loyalty among Cincinnatians. 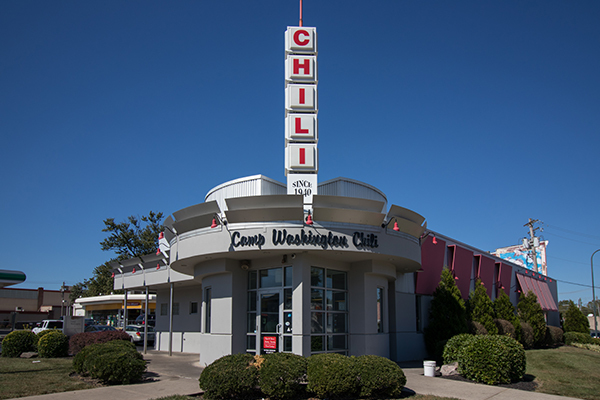 The largest chains are Skyline and Gold Star, but about 250 parlors around town put their own spin on things, including Dixie Chili, Pleasant Ridge Chili, Park Chili Parlour, Chili Time, Blue Ash Chili, Price Hill Chili and the retro-style Camp Washington Chili, which won the James Beard Foundation's "American Regional Classic" award in 2000.